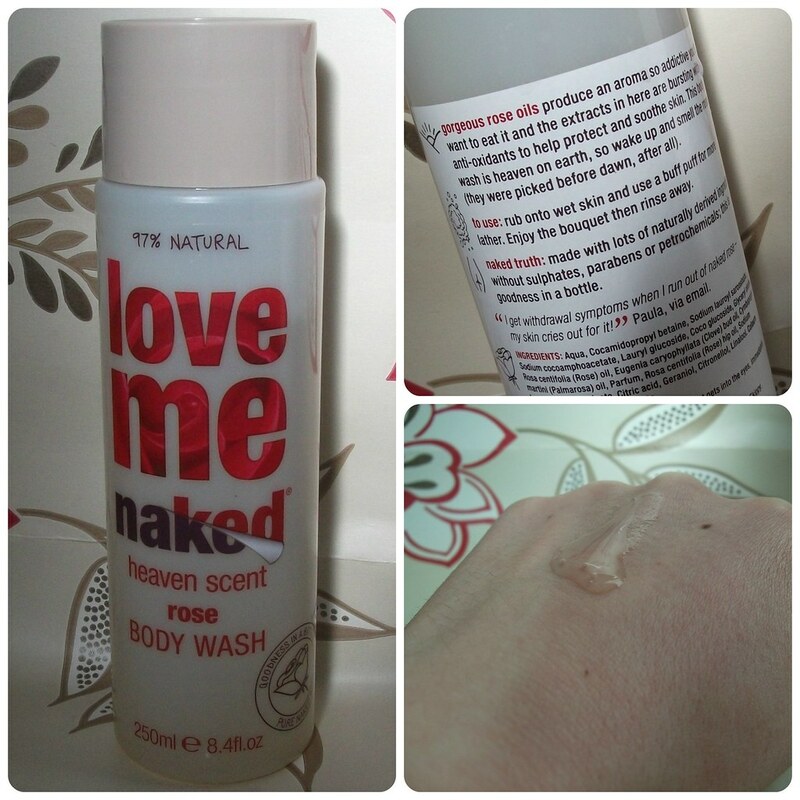 Although I'm pretty loyal to Naked's Starflower Body Wash, when I saw their whole body wash range on a half price promotion in Boots recently, I decided to pick up an alternative to try; I went for the Love Me Heaven Scent Rose Body Wash, which is described as follows: "Gorgeous rose oils produce an aroma so addictive, people want to eat it, and the extracts in here are bursting with antioxidants to help protect and soothe skin. This body wash is heaven on earth, so wake up and smell the roses (they were picked before dawn, after all). To use: Rub onto wet skin and use a buff puff for more lather. Enjoy the bouquet then rinse away. Naked truth: Made with lots of naturally derived ingredients, without sulphates, parabens or petrochemicals, this is goodness in a bottle." That looks lovely. I would enjoy this one a lot. Too bad this brand is not available her. I have not tried any of Naked's products yet but I do love rose scented anything lol! Great post! mmmm I lvoe rose scented products, this sounds right up my street! Great post and great review! I don't know this brand, have to check it out. Would you like to follow each other on GFC? Please let me know on my blog so I can follow back. Thank you. I love rose scents so much, I'll have to give this a try!